TRIDENT PRECISION INTERNATIONAL was established in the year 1998 by Mr. V.S.Sareen & Mr. Anil Narendra with idea of catering to our inhouse requirements and to that of medium and small enterprises around for high quality MOTION,DRIVE AND AUTOMATION components and spares. TRIDENT PRECISION INTERNATIONAL is the Manufacturer, Trader, Importer and Stockiest & service provider in the field of high quality MOTION, DRIVE AND AUTOMATION & MATERIAL HANDLING EQUIPMENT,COMPONENTS AND SPARES. Under the leader ship of Mr. V.S.Sareen & Mr. Anil Narendra we have an very strongly knit team of engineers & technicians to produce and deliver high quality products & services. 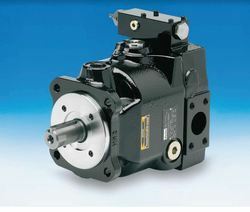 TRIDENT PRECISION INTERNATIONAL is the authorized distributor of PARKER HANNIFIN INDIA PVT.LTD. 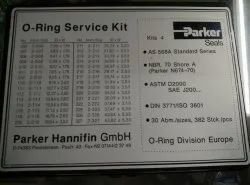 which is the wholly owned unit of PARKER HANNIFIN CORPORATION OF -USA. We stock and sell following products. 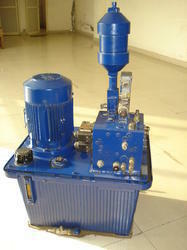 PARKER -OLEAR-GREER: HYDRAULIC PISTON, BLADDER ACCUMULATORS & ACCESSORIES,OIL HEATING AND CHILLING SYSTEMS, SCREW PUMPS etc.etc. PARKER- PRADIFA- POLAR: HIGH QUALITY ADVANCES ENGINEERING MATERAILS BASED SEALS & O’RINGS, INDUSTRIAL SEALING SOLUTIONS, ELECTRO MAGNETIC SHIELDING PRODUCTS AND SOLUTIONS. PARKER-BALSTON-DOMINICK HUNTER-RACOR: FILTERS AND SYSTEMS FOR FILTERATION OF OILS, GASES, WATER, FUELS, INDUSTRIAL CHEMICALS, AIR DRYERS AND AIR PREARATION SYSTEMS, HYDROGEN & NITROGEN GENRETORS. 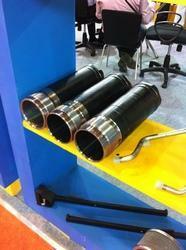 PARKER ERMATO- WORLD RENOWNED EO & EO2 TUBE FITTING AND TUBES. PARKER – INSTRUMENTATION : INSTRUMENTATION FITTINGS, VALVES & TUBES FOR VARIETY HIGH CORROSSION AND HIGH PRESSURE APPLICATION. 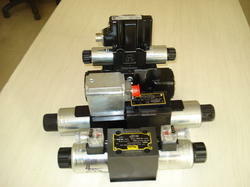 PRESSURE TRANSDUCERS, FLOW METERS, TEMP AND LEVEL METERS. ABM GERMANY- HOIST DRIVES, CROSS & LONG TRAVEL DRIVES FOR EOT CRANES, MOTORISED CHAIN HOISTS, DC ELECTRIC WHEEL DRIVES, GEAR BOXES & HIGH EFFECIENCY ELECTRIC MOTORS. RUDD-PEWAG: HIGH TENSILE STEEL CHAINS FOR CHAIN HOISTS. 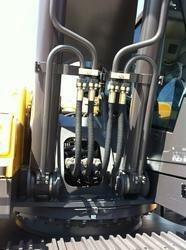 AV INDUSTRIES: HIGH QUALITY EOT CRANES, GANTRY CRANES. Steel Plants, Forge, Foundries & equipment manufacturers. Ferrous & Non Ferrous Rolling & Tube Mills & equipment manufactures. 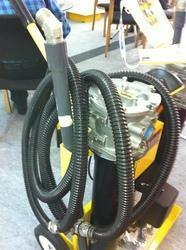 Machine Tools & Hydraulic Press manufacturers. Hydal, Thermal, Wind & Solar power plants & equipment manufacturers. Paper, Glass, Cement plants and equipment manufacturers. Mining, Construction, Transport & Material Handling industry & equipment manufacturers. Defense equipment manufactures for BEL/DRDO/VRDE/ADRDE/LASTEC.